The 458 Challenge, a purpose built race car. 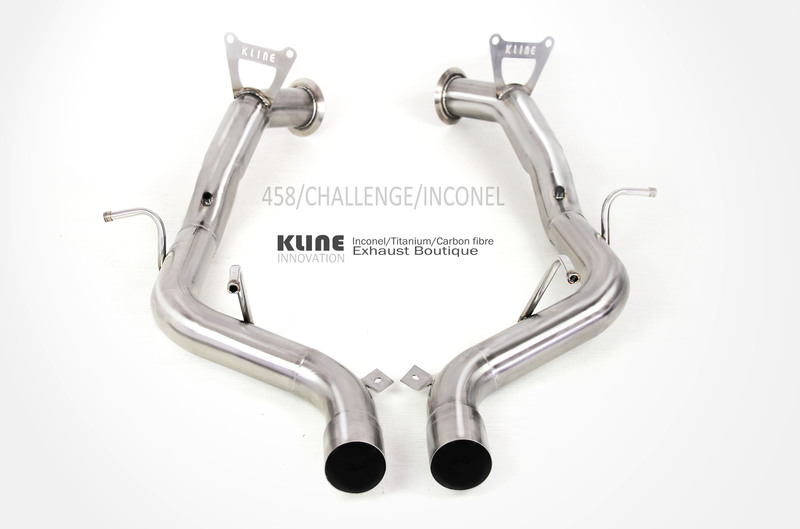 here at kline we knew we could improve torque response as well as peak power, and significantly reduce weight. 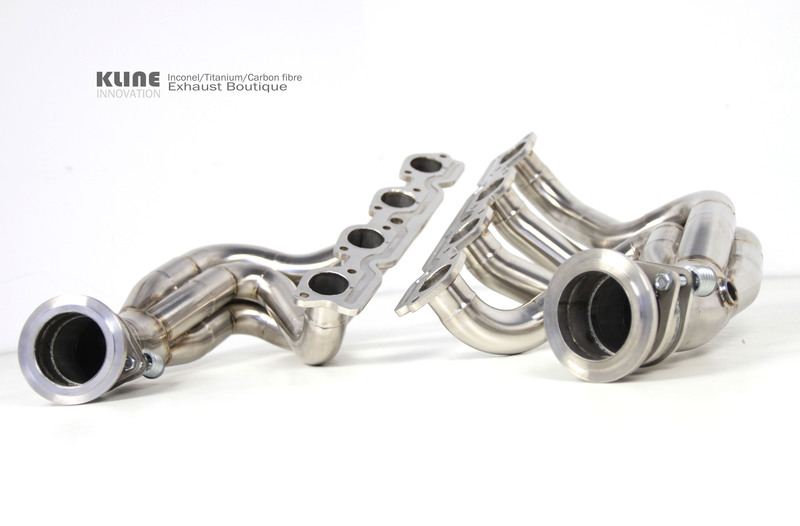 Replacing the entire exhaust system and headers for formula one grade Inconel 625, we were able to significantly reduce weight, as well as improving crack resistance and longeivity. 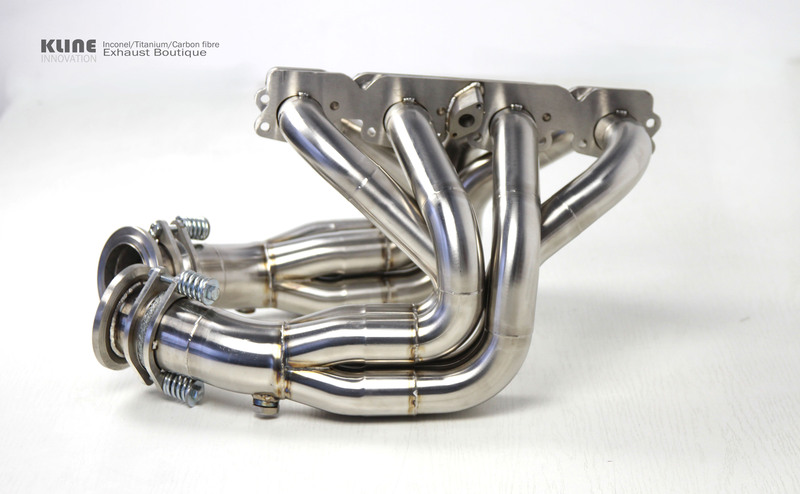 Re-designing the headers, to incorporate longer primaries, significantly improves torque, and the addition of low drag merge collectors improves scavenge in high rpm, increasing peak power, allowing the driver to delay shifting.